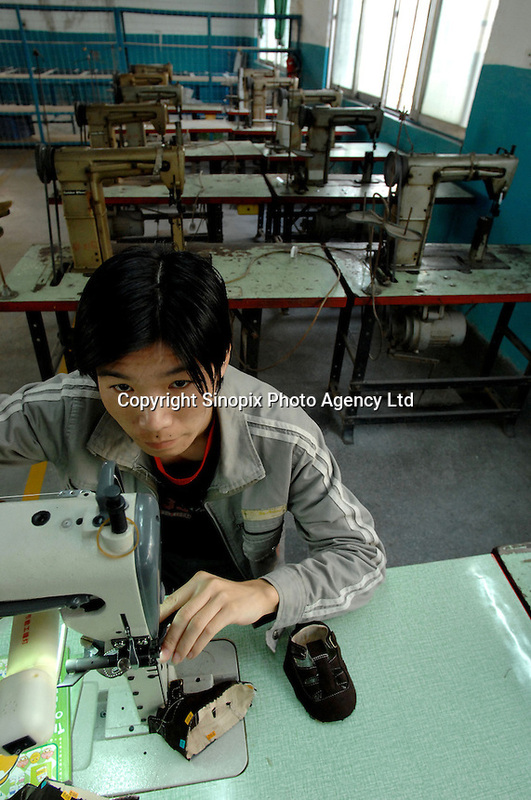 Empty benches behind a worker at Jet Shoe Manufacturing in Houjie Town, Dongguan, China. Jet is struggling to find workers and is running at half capacity and employing many older men rather than young women. As the economy changes and Chinese labour gets more expensive, factories are closing leaving ghost towns behind them..20 Dec 2007.